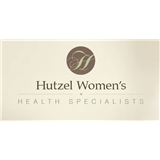 Hutzel Women's Health Specialists (Detroit) - Book Appointment Online! At Hutzel Women's Health Specialists, the total patient is our primary concern, and we pride ourselves on providing personal and friendly care. We are dedicated to fully educating you about your health needs, and strive to be your partner in health. Our physicians are all board-certified, have extensive experience in both practicing and teaching their fields of expertise, and continue to educate themselves and others through the attendance and participation in obstetrical and gynecological professional organizations across the globe. Additionally, our office is dedicated to providing the highest level of healthcare. From our equipment to our administrative services, we incorporate the latest technologies to provide for and improved patient experience, and our staff is second to none. I really like Dr. Kmak. He is very informative and easy to talk to. I am a new patient of Dr. Alfieri. The office is very inviting except for the front office receptionist. She did not greet me or smile upon my arrival. My first time meeting Dr. Cristina Alfieri was great! She has a benevolent personality, caring, and professional demeanor. She made me feel comfortable to address any gynecological concerns and recommended a variety of solutions. She will be my permanent Ob/GYN physician.